Il Duomo di Firenze, St. Basil's, Notre Dame -- every year, millions of pilgrims (not those guys who came to the US from Europe) pay homage to the most famous cathedrals in the world. Many are as beautiful as they are historic. These are not those cathedrals. Just because a church is holy, doesn't mean its construction was a good idea. 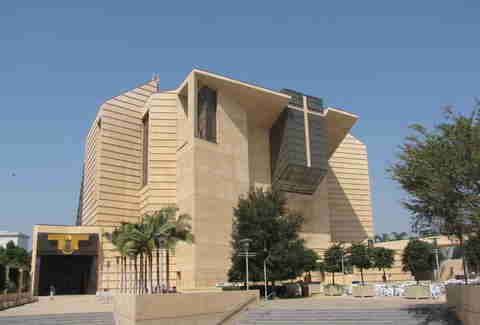 These are the ugliest cathedrals in the world. 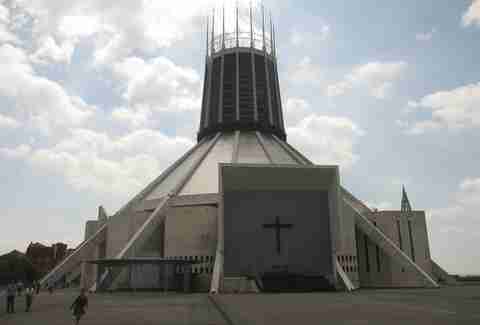 A product of the 60s, this cathedral is often referred to as “Paddy’s Wigwam” by locals because it resembles the famous Native American one-room hut. But honestly, that's kind of insulting to wigwams -- people actually had better building materials and still chose this shape. The building holds both the titles of “Largest Catholic Cathedral in England” and “One of the 10 ugliest buildings in the world according to CNN.” And based on CNN's primetime ratings, they know a thing or two about ugly. This 65,000sqft cathedral is one of the largest in all of Canada, and is the biggest supporter of A Flock of Seagulls haircuts. It also has big plans for the future, including plans to add things such as solar panels and an art gallery. But a symmetrical roof isn't anywhere on its to-do list. 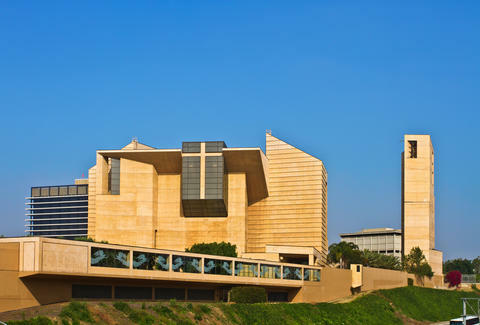 Shaped like a high school auditorium, this cathedral is actually the home of the Los Angeles Diocese and overlooks the Hollywood Freeway. Too bad people on the freeway have to look at this beast. 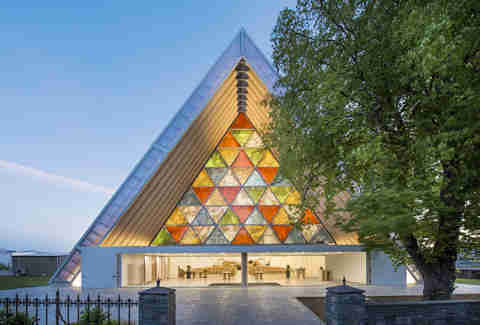 According to the church's website, the architect was inspired by themes of Light and Journey. And presumably, cardboard boxes. 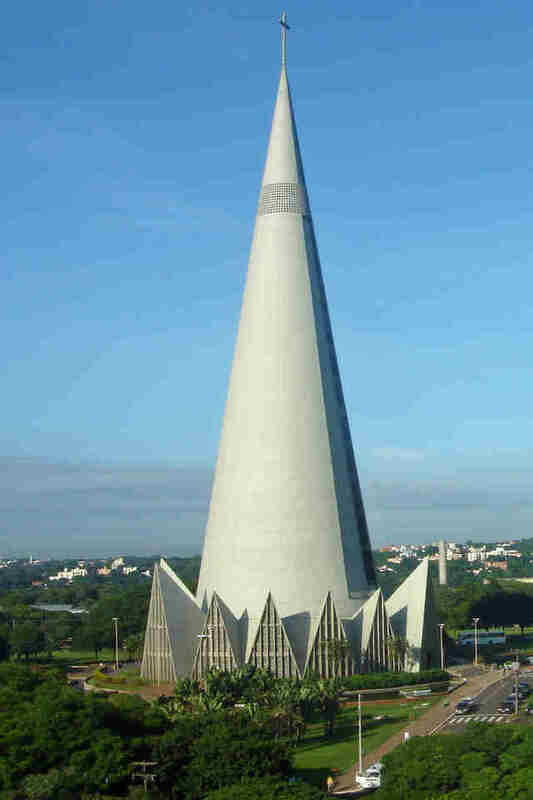 If you took that crazy beam weapon from Independence Day, and flipped that and the spaceship upside down, it'd look a lot like this cathedral. But whereas people like Vivica A. Fox fled from the spaceship, people flock toward this product of the '60s -- more than 1 million people each year, in fact. California is not off to a hot start. This cathedral was built after the area’s previous church was badly damaged in an earthquake -- you know, the one that actually interrupted the World Series in 1989. 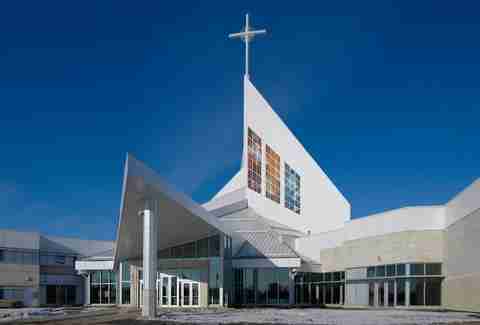 Fortunately, parishioners got a structure designed by the same guy who designed the International terminal at SFO. Unfortunately, the replacement structure looks like it still has scaffolding sticking up out of the building's roof. If you're parodied by "The Simpsons," you've obviously done something really right, or really wrong. This place falls into the latter category. You know how doves are a symbol of the Holy Spirit? Well the number of spirits likely taken from doves when they crash beak-first into a towering glass monolith must number in the thousands. 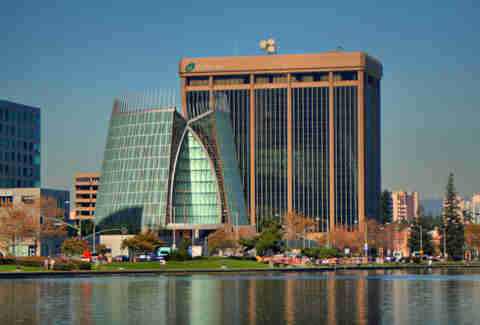 This building is not an Aztec pyramid. 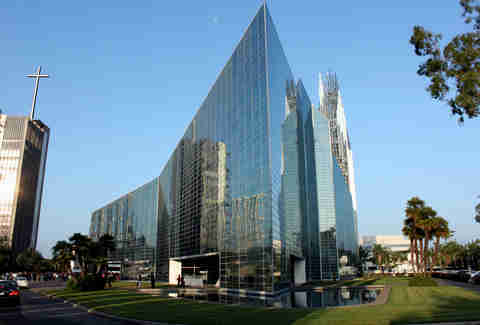 It’s actually a modern cathedral constructed of concrete, steel, and glass, located right in downtown Rio de Janiero. And it's kind of a shame that in more than 700 years, nobody could come up with a better layout. 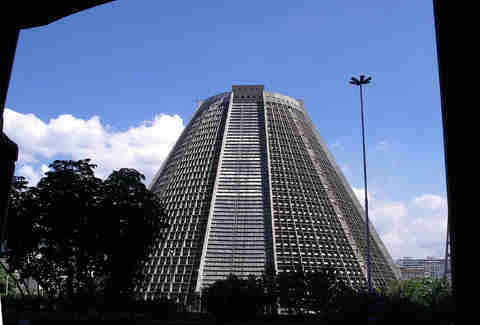 Somehow, Brazil turned its massive economic boom and the largest Catholic population in the world into a bunch of hideous structures. With great power, comes great funding for eyesores. 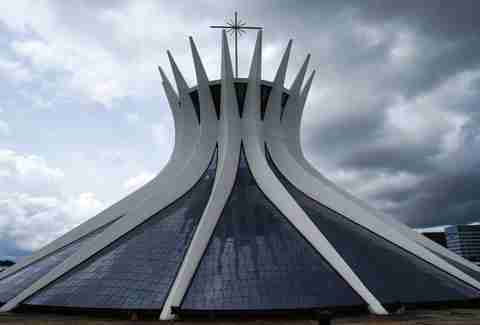 At a height of 406ft, this cathedral is the tallest church in all of Latin America. The architect cites Soviet satellites as his inspiration for this structure, though a casual observer would have guessed party hats.